Muse takes The Pitch...and misses. 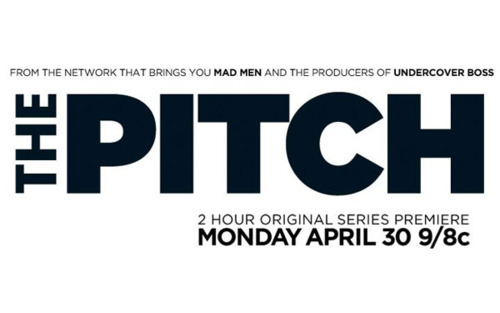 I haven’t written much about AMC’s The Pitch, mostly because it’s been pretty terrible. AMC was hoping to land another Mad Men-level hit. People love Mad Men, they’ll love Mad Men in the Real World, right? Problem was, most of the agencies you’d know refused to be on the show, and the clients they managed to land were nothing extremely compelling to watch. Besides, TV shows about advertising are dreadfully boring if you don’t care about advertising. Nobody cares who made the Bud Light commercial, they just want to see Spuds Mackenzie. The biggest agencies they managed to land were WDCW and McKinney, and AMC tossed them out in the very first episode. Unfortunately, the winning team’s big idea was to swipe a YouTube rapper, throw him in a Subway and told him to rap about, well, breakfast wraps. Don Draper’s Kodak Carousel pitch, this was not. It only went downhill from there. Petty bickering, lousy ideas, sketchy editing, an agency founder threatening to retire not once, but twice after a loss, and way too many people proudly declaring themselves assholes. People were getting a peek behind the ad curtain, and nobody was liking what they were seeing. And eventually, they stopped peeking. As for me, I sat and watched the episodes looking for someone who looked like me. Just one. Even in the background. At one point, during the WDCW episode, I thought I saw a black guy in a cutscene playing basketball, and I was all ready to go crazy over that, until I realized it was just a really tanned white guy. It was frustrating. It was what prompted me to ask where all the black people were last year. 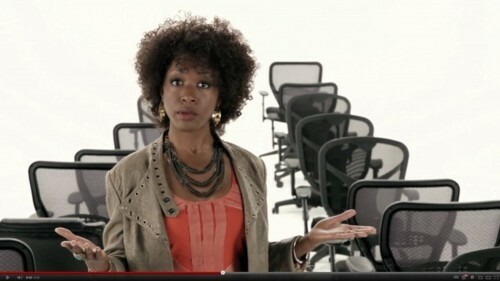 It took four episodes before I saw one black person on the show in any form-Greg Johnson, Chief Marketing Officer of Charlotte-based BooneOakley. 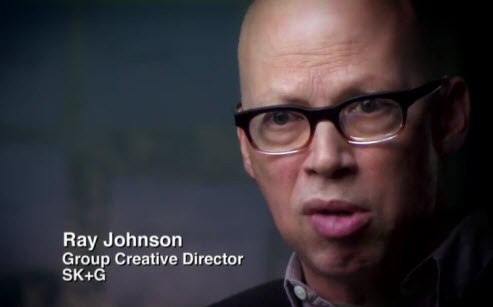 Johnson had serious credentials-he helped build Nike’s Jordan brand apparel line. He looked to be a crucial part of the creative process. 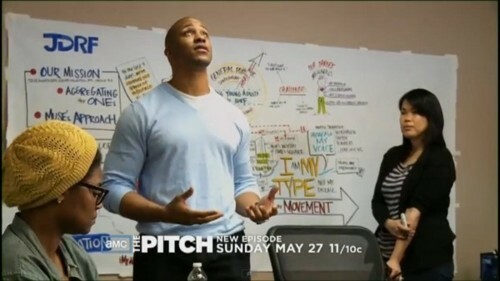 I sat on the edge of my seat, waiting to see how he was going to contribute to his company’s pitch for PopChips. He got whisked to the hospital to have his gallbladder removed in the first twenty minutes. It was like every action movie I’d ever seen. Thankfully, Johnson’s gallbladder survives on Twitter. So I was excited to see this most recent episode of the Pitch. Last week, multicultural agency Muse literally threw down the gauntlet in a major way with a biting commercial on YouTube challenging agencies to fill their “white space”. It was passioned. It was powerful. It was blunt in a way it needed to be, without being heavy handed like it could have been. I was engaged. This was Babe Ruth calling his shot. Surely, now that Muse has called out the world, they’d stand at the plate and deliver, right? It probably didn’t help that AMC matched the multicultural, California-based Muse with Bozell, an agency straight out of the the heartland-Omaha, Nebraska. Clearly, AMC had an agenda here. But it also didn’t help that after receiving the brief, CEO Jo Muse grumbles about how he “couldn’t morph into a Midwestern white guy or white girl.” Thankfully, his Mighty Morphin’ White People skills aren’t mentioned for the rest of the episode. After that, we meet art director Marcus Moore and his copywriter Rasika Mathur, who set to their assigned task, rebranding the Juvenile Diabetes Research Foundation to reach young millenials. It turns out, juvenile diabetes isn’t just for the juveniles anymore, as Type 1 diabetes affects adults as much as children. The JDRF wanted to “create a rallying cry for Type 1 diabetics that targets people of all ages, encouraging them to donate money to help support research on the disease.” After some work, they settle on “Don’t be a Prick”, playing on the idea that diabetics have to prick themselves several times a day to test their blood sugar. Oh yeah, and calling people pricks. I shook my head. That was a terrible idea. It was simple and sophomoric, and I couldn’t see how it could work as a campaign. It seemed like the idea you write down in your book on your way to better idea. Thankfully, Jo Muse shoots this idea down (“You can’t just go around calling people who don’t donate to your cause ‘pricks.’”), and I waited to see what other ideas Moore and Mathur had ready to pitch. I still didn’t like it. And more than that, the art direction and design on the work was just average. I’m not going to criticize someone else’s work, especially because I wasn’t in Moore’s shoes, nor do I have really have any credibility on the subject-I’m just a guy with a blog. But considering the target audience, I would have felt a more visual solution or a social media solution would have worked better. This, of course, is the biggest problem with The Pitch. We don’t see all of the work, we only see what AMC decides to show. And AMC is more interested in drama than the work. But it’s the work that counts. McKinney didn’t win just because they stumbled upon Mac Lethal on YouTube, they won because Subway felt the whole package was a better solution than what WDCW pitched. We only saw the TV spot. But in the case of Muse and JDRF, I didn’t like what little bit I saw, so I’m sure I wasn’t going to be crazy about what I didn’t see. Was I being harder on Muse because they were a multicultural agency? Probably. But if this was their step into the “big leagues”, lousy ratings be damned, you have to blow people away. I wasn’t. I NEEDED them to blow me away-I WANTED them to blow me away. They didn’t. You can’t put that commercial out there, and then throw out “very good” work. This was Babe Ruth calling his shot, and hitting a dribble to the shortstop. Not a home run. Far too often, “minority creatives” are grouped as a monolithic entity, and fair or not, I was hoping-rooting-for them to knock it out of the park, if only to show that we are capable of selling more than Nikes, cars and Sprite. Despite all of that, when it came time for the final pitch, the JDRF actually seemed to take to the “One Less Prick” idea, even suggesting it would look great on coffee mugs and wristbands. But at the end of the day, JDRF went with the safe pitch from Bozell (“Be the Voice of One”), echoing a common theme throughout this series-the better idea usually doesn’t win, and the episodes themselves seem like an hour-long commercial for the client, and the client doesn’t necessarily care who wins or loses. The whole episode made me uncomfortable. AMC clearly was angling for this episode to be its spiciest to date. Take one multicultural agency from LA and put it up against a lily white agency from Nebraska-toss in a loaded PSA, and you’ve got the makings of a “controversial” episode-in theory, anyway. Thankfully, for the most part, none of that came to pass, and Muse’s spot, which was supposed to air during the episode, didn’t air. I actually breathed a sigh of relief at that, because if it had aired during that episode, it might have come off as sour grapes. Despite the episode, I’ll definitely keep an eye out for Muse’s work, and will be rooting for their success. I just hope I don’t have to wait too long to see more people who look like me on the big stage.